Eight years ago, in his fine biography of Benjamin Disraeli, Adam Kirsch analyzed one of his subject’s early novels, The Wondrous Tale of Alroy, which retold the story of a 12th-century Middle Eastern false messiah. “Disraeli’s distinction between Jewish belief and Jewish solidarity,” Kirsch wrote, “and his insistence that it is possible to have the latter without the former,” made the book “a significant proto-Zionist text.” David Alroy makes a brief reappearance in The People and the Books, not in connection with Disraeli’s themes (though his novel is mentioned parenthetically) but to serve as part of the backdrop to an extended discussion of his rough contemporary, Judah Halevi, who sought not to conquer the Land of Israel but simply to rest his soul in it. Halevi himself is but one of a large gallery of both real and fictional characters, beginning with Moses and ending with Tevye the dairyman, who either wrote or populated the classics of Jewish literature that Adam Kirsch sensitively discusses in his latest book. Anyone looking for a single-volume introduction to Jewish civilization for a class full of highly educated professionals with only a limited knowledge of the subject will find nothing better in print. One shouldn’t be fooled by this book’s accessibility and lack of footnotes, however, into thinking that it is shallow. Far from being a mere survey, it constitutes a deeply serious meditation on the meaning of Jewish existence. In his preface, Kirsch identifies four central concerns of the ancient, medieval, and modern Jewish writers he profiles: “God, the Torah, the Land of Israel, and the Jewish people.” With the exception of a few of the modern thinkers Kirsch discusses at the end of the book, all of the protagonists of his narrative are preoccupied with all of these matters. But they reflect on them in profoundly different ways. Kirsch, an outstanding literary critic with very strong Jewish interests but not a scholar of Judaism, explicates their views knowledgeably and deftly, often making novel and intriguing comparisons of figures one does not customarily associate with one another, such as Josephus and Judah Halevi. Whether Kirsch is dealing with believers or heretics, he writes with real empathy. What he doesn’t make entirely clear, however, is where his own strongest sympathies lie. More than a thousand years later, Maimonides, living only about a hundred miles from Philo’s home but in the midst of not a pagan but a Muslim civilization, still had to grapple with the same issue. He dealt with it, Kirsch explains, by asserting “that the problem of the creation of the universe cannot be solved by human reason” and that one thus had to take one’s bearings from what Genesis says. Yet his belief in God’s boundless power didn’t prevent him from utilizing the tools of reason to reshape “the miracle-ridden narrative of sacred history into a rule-bound, naturalistic, and rational account.” That some secret teaching might be lurking here, that Maimonides may have been more of a student of Aristotle than he let on, is a possibility that Kirsch does not choose to consider. 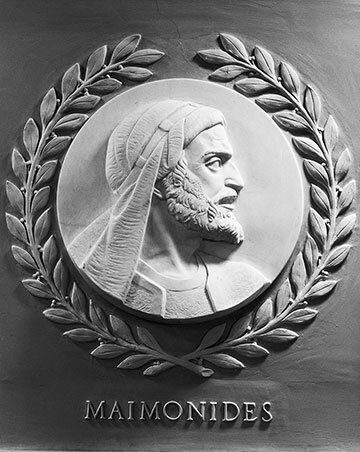 If he gives Maimonides the benefit of the doubt, Kirsch is scarcely any less generous to his heretical adversaries, including Spinoza, who targeted him directly in the 17th century, and Salomon Maimon, who renamed himself after him in the 18th century but then went on to repudiate everything for which he stood. Like Philo and Maimonides, Kirsch observes, the philosopher born in Amsterdam into an ex-Marrano family “stood at the intersection of Judaism with a wider, more powerful, and more seductive intellectual world.” But unlike them, he was completely won over. He rejected Maimonides’ reading of the biblical narrative and introduced a new one, which led to the conclusion that the God of Israel was non-existent and Judaism was obsolete. Kirsch doesn’t rebuke him but only questions, gently, whether “the secular and universal society” for which he hoped “could really exist and whether discarding Judaism was too high a price to pay for admission” to it. 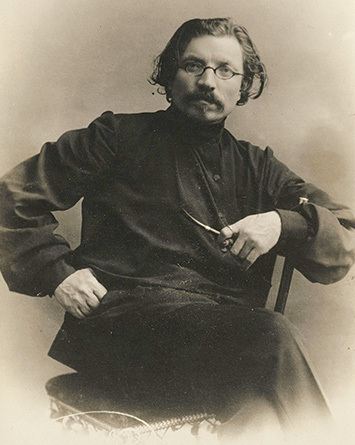 Salomon Maimon, the erstwhile Lithuanian Talmud prodigy who had had his mind opened by Maimonides, groped his way out of what he himself depicted as the intellectual ghetto into which he had been born and into the world of German philosophy. Kirsch doesn’t defend the ghetto against Maimon’s famous mockery of it and concludes his discussion of Maimon with the observation that he remained, as he himself insisted, “a stiffnecked Jew,” if only because he conditioned his opportunistic offer to convert to Christianity on the officiating clergy’s recognition that he did not really believe in it. Kirsch’s even-handed treatment of upholders of the faith and deniers of it makes it seem appropriate to apply to him words that he himself utilizes, in a somewhat different sense, with respect to the Jewish philosopher from Alexandria: “Philo, one might say, stands both inside and outside Judaism.” And it is not only Judaism with respect to which Kirsch seems to be both an outsider and an insider; he maintains the same ambiguous stance toward the world of scholarship. He eschews not just footnotes but any references in his text to any academic historians of Judaism—with the exception of the great scholar of Jewish mysticism Gershom Scholem, whom he quotes twice, and the scholar of Hasidism Martin Buber, whom he mentions only once. But he clearly knows his stuff. The very brief but discriminating bibliographies at the end of each chapter indicate the depth of his familiarity with contemporary English-language scholarship, and every page of his book demonstrates his broad knowledge of literature he has refrained from mentioning. This is not to say, however, that he hasn’t made some missteps. Unlike a very large number of Mendelssohn scholars, Kirsch sees that the bulk of Jerusalem leaves this problem unaddressed and that it is only at the end of the book that Mendelssohn answers Cranz by explaining that the demise of the Jewish polity has transformed Jewish law, as Kirsch puts it, “from a communal rule for all Jews into a voluntary commitment of each Jew.” Kirsch then raises doubts about this contention, not in terms of its philosophical or theological adequacy, but with regard to its practical ramifications. Once the decision to obey Jewish law is left up to every individual, it is inevitable that some—maybe most—Jews will decide that the burden is too great, that there is no way and no need to go on living under two sets of laws. And, in fact, that is just what happened with Mendelssohn’s own family. All of his grandchildren were baptized Christians, including the composer Felix Mendelssohn-Bartholdy, who created masterpieces of church music. Kirsch is not recalling this family history in order to disparage Mendelssohn’s ideology, as have so many other writers over the past two centuries. He is not even calling into question Mendelssohn’s affirmation of voluntarism. He is just pointing out that there are trade-offs, even for good things like liberty. Zionism has long based its claim to sovereignty on the universal right to national self-determination, and the phrase “like all other nations” has been incorporated into Israel’s Declaration of Independence, yet the goal of “normalization” has proven to be much more complicated than most early Zionists had thought. Springtime for Arabia, Hailing to the Chief, Straw Men . . . and more! 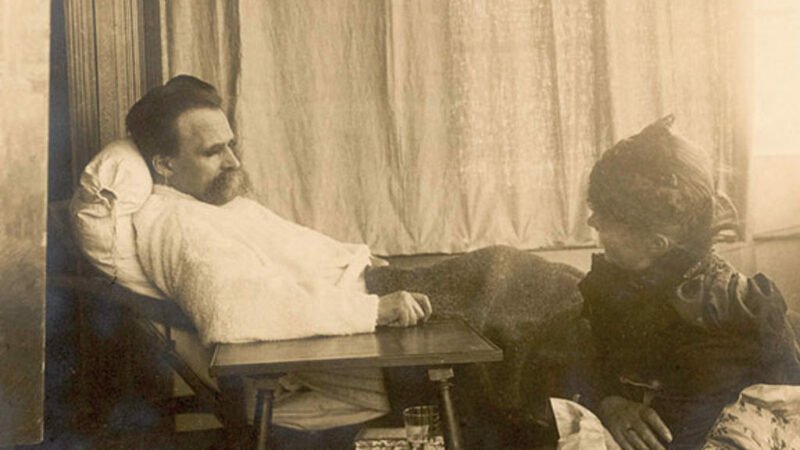 Nietzsche’s reception has been sharply divided between anti-Semitic and philo-Semitic readings. Richard C. Holub's new book explores how the philosopher's views changed over time and whether some of his statements about Jews should be attributed to another hand. The Jewish peddler, the “slave of the basket or the pack; then the lackey of the horse,” did not have an easy time of it.